Sarath joined RIHOF in 2010 and currently serves as the Director of the Testing Lab. In addition to business development, Sarath oversees a wide range of medical device research, development and evaluation projects. Sarath has over 10 years of experience helping medical device companies create rigorous testing programs to achieve regulatory approval. Sarath has an extensive background in the field of orthopaedic biomechanics under the direct supervision of Dr. Vijay Goel. Sarath develops new testing technologies and designs innovative experiments to translate complex in-vivo scenarios into representative biomechanical experiments. He maintains and updates the techniques for lab applications by reviewing literature and staying current with advances in surgery, biomechanics and biomaterials. 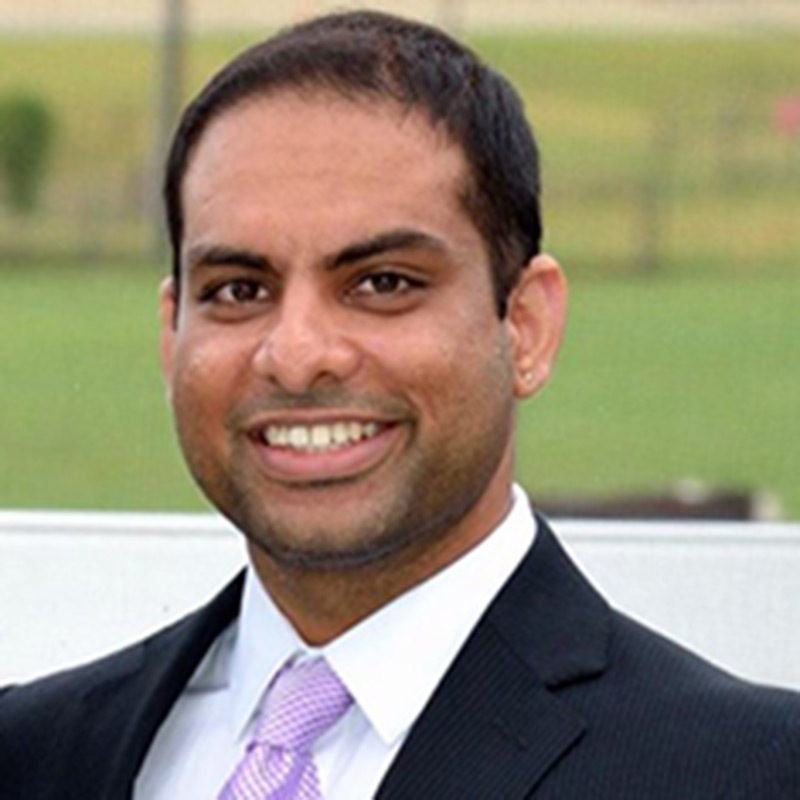 Prior to this role, Sarath served as a Project Manager and Test Engineer at RIHOF, has co-authored over 20 publications and is a member of ASTM, AAOS and ORS. Sarath has a B.E in Biomedical Engineering from Osmania University, India, M.S. in Bioengineering from University of Toledo, Ohio and M.B.A from Fuqua School of Business-Duke University. The effects of distal interlocking screws on torsional stability in three-part intertrochanteric hip fractures. Vopat BG, Kane PM, Mansuripur PK, Paller D, Koruprolu S, Abbood E, Born CT. Springerplus. 2015 Aug 12;4:413. doi: 10.1186/s40064-015-1196-z. eCollection 2015. Isolating Suture Slippage During Cadaveric Testing of Knotless Anchors. Klinge SA, Vopat BG, Paller D, Avery AL, Koruprolu S, Fadale PD. Am J Orthop (Belle Mead NJ). 2015 Jul;44(7):E216-9. Cervical total disc replacement exhibits similar stiffness to intact cervical functional spinal units tested on a dynamic pendulum testing system. Esmende SM, Daniels AH, Paller DJ, Koruprolu S, Palumbo MA, Crisco JJ. Spine J. 2015 Jan 1;15(1):162-7. doi: 10.1016/j.spinee.2014.08.442. Epub 2014 Sep 4. Contribution of the medial malleolus to tibiotalar joint contact characteristics. Lareau CR, Bariteau JT, Paller DJ, Koruprolu SC, DiGiovanni CW. Foot Ankle Spec. 2015 Feb;8(1):23-8. doi: 10.1177/1938640014546862. Epub 2014 Aug 19. Biomechanical evaluation of the suture anchors used in open-door laminoplasty: a cadaveric study. Kurokawa Y, Yokoyama Y, Kuroda K, Koruprolu S, Paller D, Nakano A, Baba I, Neo M. Spine (Phila Pa 1976). 2014 Oct 1;39(21):E1248-55. doi: 10.1097/BRS.0000000000000522. A biomechanical comparison of locked and unlocked long cephalomedullary nails in a stable intertrochanteric fracture model. Kane P, Vopat B, Paller D, Koruprolu S, Daniels AH, Born C. J Orthop Trauma. 2014 Dec;28(12):715-20. doi: 10.1097/BOT.0000000000000165. Is tip apex distance as important as we think? A biomechanical study examining optimal lag screw placement. Kane P, Vopat B, Heard W, Thakur N, Paller D, Koruprolu S, Born C. Clin Orthop Relat Res. 2014 Aug;472(8):2492-8. doi: 10.1007/s11999-014-3594-x. Epub 2014 Apr 24. Erratum in: Clin Orthop Relat Res. 2014 Aug;472(8):2499. Effect of distal interlock fixation in stable intertrochanteric fractures. Kane PM, Vopat B, Paller D, Koruprolu S, Born CT. Orthopedics. 2013 Jul;36(7):e859-64. doi: 10.3928/01477447-20130624-14. Dynamic biomechanical examination of the lumbar spine with implanted total spinal segment replacement (TSSR) utilizing a pendulum testing system. Daniels AH, Paller DJ, Koruprolu S, Palumbo MA, Crisco JJ. PLoS One. 2013;8(2):e57412. doi: 10.1371/journal.pone.0057412. Epub 2013 Feb 25. Biomechanical analysis of Brostrom versus Brostrom-Gould lateral ankle instability repairs. Behrens SB, Drakos M, Lee BJ, Paller D, Hoffman E, Koruprolu S, DiGiovanni CW. Foot Ankle Int. 2013 Apr;34(4):587-92. doi: 10.1177/1071100713477622. Epub 2013 Feb 7. Dynamic biomechanical examination of the lumbar spine with implanted total disc replacement using a pendulum testing system. Daniels AH, Paller DJ, Koruprolu S, McDonnell M, Palumbo MA, Crisco JJ. Spine (Phila Pa 1976). 2012 Nov 1;37(23):E1438-43. doi: 10.1097/BRS.0b013e31826b39d7. Accuracy of plain radiographs versus 3D analysis of ankle stress test. Hoffman E, Paller D, Koruprolu S, Drakos M, Behrens SB, Crisco JJ, DiGiovanni CW. Foot Ankle Int. 2011 Oct;32(10):994-9.